Featured this month: Dr. Luis Hines, Ph.D. Profession: Dr. Hines is a holistic therapist who believes life is for the living. He has over 25 years of professional experience in mental health and coaching. He is CEO of Luis Hines and Associates, a firm dedicated to providing clients with health care professionals that utilize innovative tools to increase the quality of care and strive to prevent the vicious cycle of painful relapses by offering wrap-around services while maintaining the patient in the community. Earning my Ph.D. in 1997 was a dream come true. I am proud of my many accomplishments but especially my doctorate. Professionally it comes with respect, admiration and allows me to serve my community and my clients in south Florida. In addition, my Ph.D. prepared me to become a licensed psychotherapist in Florida and Georgia. I have been in private practice for seventeen years (Dr. Luis Hines & Associates) with associates ranging from licensed psychiatrists, psychologists, therapists and master’s level interns. Union challenges learners to explore knowledge and go above the walls of traditional learning. The thing that impressed me the most is the ideology of knowledge to search beyond the institution. Union taught me that the whole world is the classroom and teacher. I am very proud to wear my Union shirt and often wear it to the gym and people often ask me about Union. My clients always want to know where I received my Ph.D. and I proudly say Union. Embrace the ideology that the world is the classroom and teacher. Embark on discovering new knowledge and ways to help your chosen profession. I was recognized and inducted into the South Carolina State University Athletic Hall of Fame in 2004 for tennis and I earned the No. 1 ranking in men’s (40 and over) tennis in Florida. In 2016, I made my television debut as a relationship therapist on the reality show, Jim and Chrissy Vow or Never. Playing, teaching and officiating tennis. Dr. Hines is a holistic therapist who believes life is for the living. He has over 25 years of professional experience in mental health and coaching. 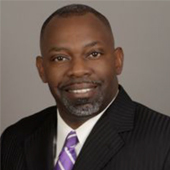 He is CEO of Luis Hines and Associates, a firm dedicated to providing clients with health care professionals that utilize innovative tools to increase the quality of care and strive to prevent the vicious cycle of painful relapses by offering wrap-around services while maintaining the patient in the community. Dr. Hines counseling methodology is a common sense approach of cognitive-behavioral and reality therapies. He works to improve the lives of clients challenged with depression, lack of motivation, and hopelessness. Dr. Hines also works with tennis players, children and adults, to improve their performance. In 2016, he made his television debut as a relationship therapist on the reality show, Jim and Chrissy Vow or Never. He believes coaching or therapy is the best investment for life and that the returns are enormous and invaluable.  Learn how a Union degree can jumpstart your career by clicking on the button below.